At the moment, this is a lot of buzz going on in the heavyweight division. The consensus is that one of three men, WBC heavyweight champion Deontay Wilderr, IBF/WBA/WBO champion Anthony Joshua, or former lineal champion Tyson Fury, is the one who should be wearing the crown as the true king of the division. It’s an interesting debate, and in addition to those three names, there are several other top challengers, contenders, and former champions still in the mix. We recently swung through City Boxing Club in Las Vegas, NV to get some discussion going on this topic, and we were pleasantly surprised at the many different responses we received. The boxing world is still buzzing about the excellent heavyweight title fight that went down over the weekend, as WBC heavyweight champion Deontay Wilder and lineal champion Tyson Fury fought to a 12-round, split-draw inside of the Staples Center in Los Angeles. 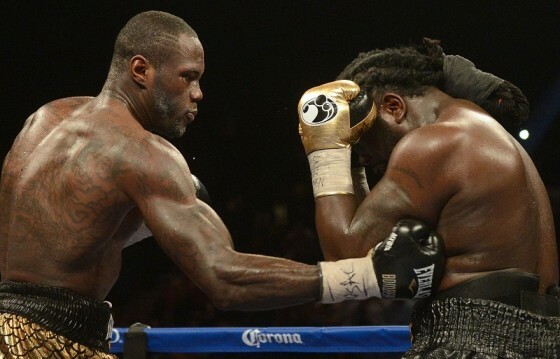 Following the final bell, scorecards reading 115-111 Wilder, 114-110 Fury, and 113-113 produced a draw for both men. 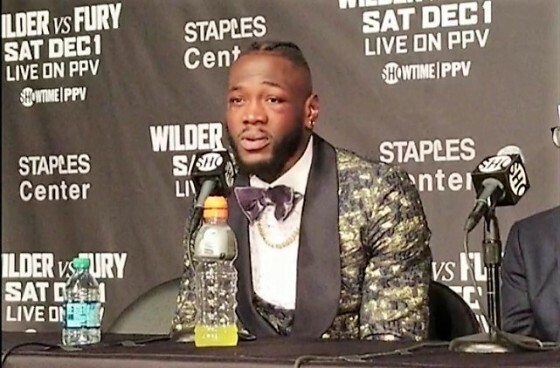 At the post-fight press conference, Wilder (40-0-1, 39 KO’s) was reflective as he spoke on what he learned after 12 rounds with Fury (27-0-1, 19 KO’s). Wilder addressed his performance in the contest, gave his view on the scoring, revealed what he could have done differently, and also set his eyes towards a possible rematch. 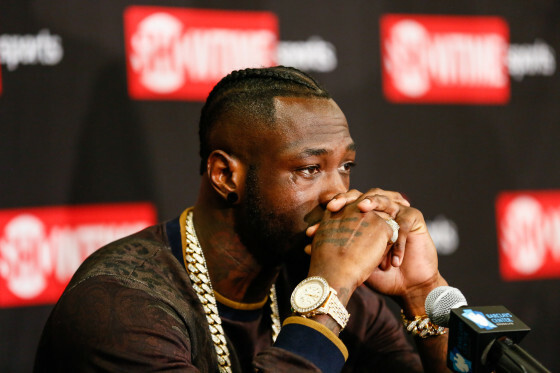 On Monday afternoon, inside of the BT Sport Headquarters in London, WBC heavyweight champion Deontay Wilder came face to face with former lineal heavyweight champion Tyson Fury, and there was no shortage of theatrics. The two men meet on Dec. 1 from the Staples Center in Los Angeles in a SHOWTIME pay per view telecast that serves as one of the biggest events of the year. 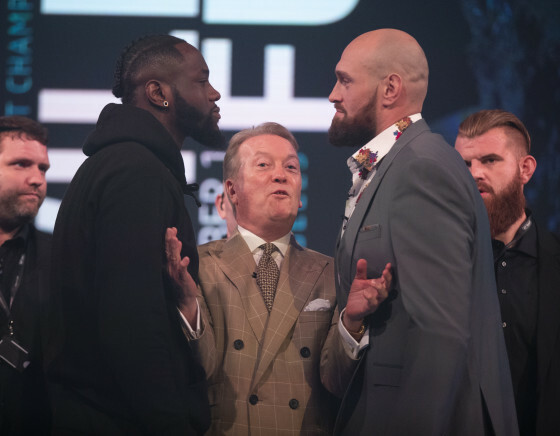 Amidst the back-and-forth trash talk, the 6’7″ Wilder and the 6’9″ Fury had to be separated by promoter Frank Warren, as Wilder shoved his British foe. 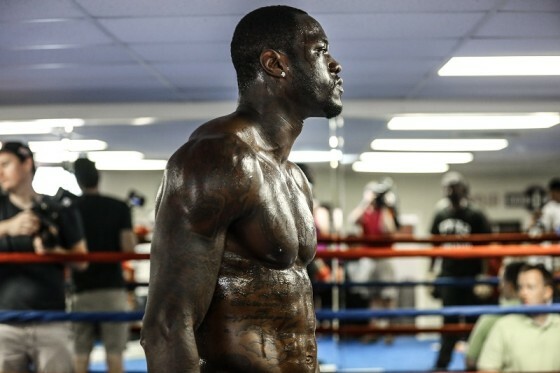 Deontay Wilder’s train continues to push forward. On Saturday night, the brash WBC heavyweight champion from Tuscaloosa, Alabama showcased his craft inside of the Barclays Center in Brooklyn, New York, as he registered a ninth-round knockout over gritty Polish challenger Artur Szpilka. 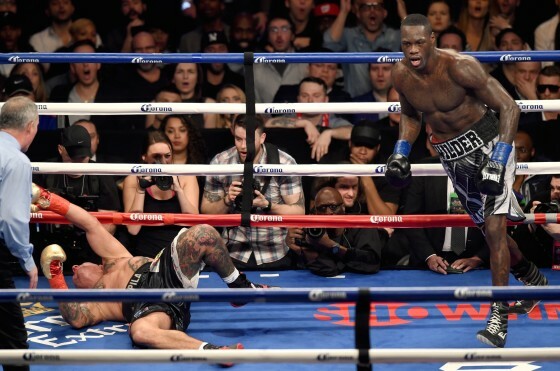 On Saturday night, WBC heavyweight champion Deontay Wilder scored the third successful defense of his title with a crushing ninth round knockout over Poland’s Artur Szpilka inside of the Barclays Center in Brooklyn, New York. 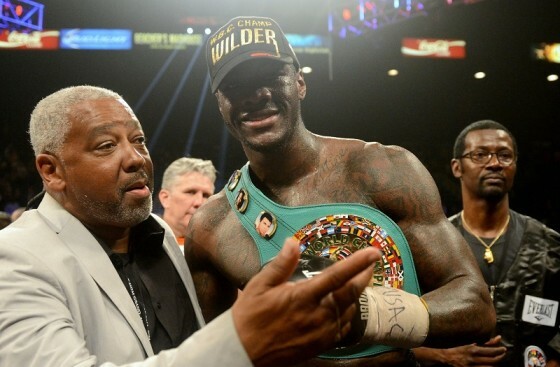 In front of an estimated 12,668 fans and live on SHOWTIME’s airwaves, Wilder again proved his worth. It’s hard to recall a recent heavyweight champion as charismatic as WBC champion Deontay Wilder has been. Having captured the aforementioned WBC strap nearly a year ago after defeating Haiti’s Bermane Stiverne over 12 rounds, Wilder has since scored two successful stoppages, over Eric Molina in June and Johann Duhaupas in September, to raise his mark to 35-0 with 34 KO’s. 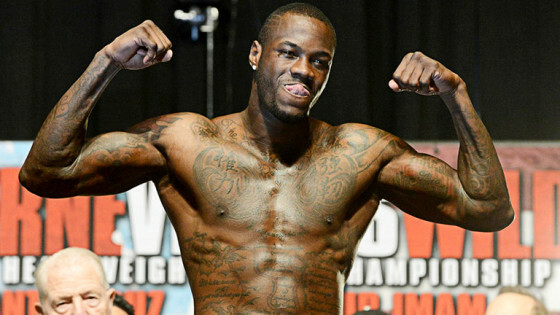 WBC heavyweight champion Deontay Wilder finally has a dance partner for his Jan. 16 return date. The unbeaten Alabama native will make the third defense of his belt when he meets Poland’s Artur Szpilka inside of the Barclays Center in Brooklyn, New York in a SHOWTIME-televised thriller. 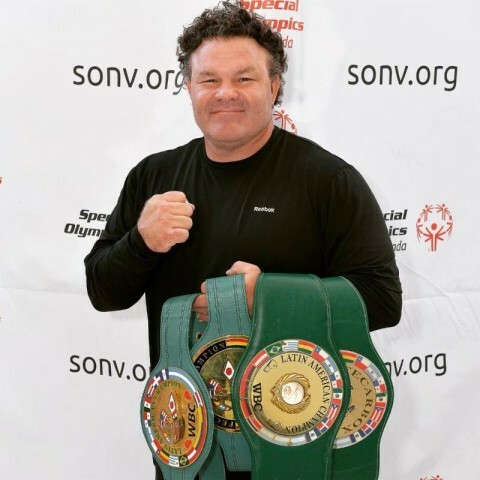 Those connected to the fight game in Las Vegas are well aware of WBC Latino and FECARBOX heavyweight champion “Bronco” Billy Wright. The 50-year old Wright (49-4, 38 KO’s) is a fan favorite in the city and has been on a big winning streak in recent times, having captured 20 victories in a row, 17 of them by stoppage, dating back to his 2007 comeback. 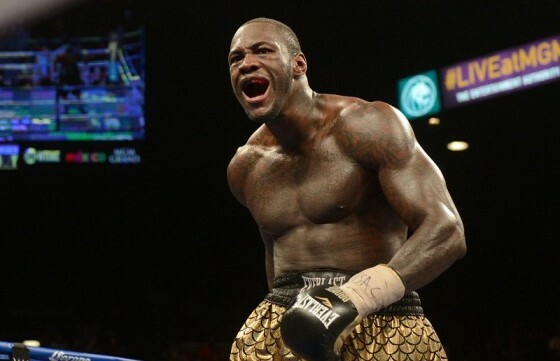 Now ranked #20 by the WBC, Wright insists he is ready for a crack at WBC heavyweight champion Deontay Wilder (35-0, 34 KO’s). 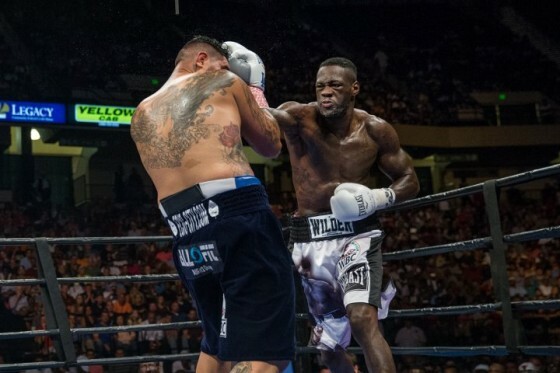 Deontay “The Bronze Bomber” Wilder (34-0, 33 KOs), may have had to work harder than expected before dismantling Eric “Drummer Boy” Molina (23-3, 17 KOs) on Saturday night inside of the Bartow Arena in Birmingham, Ala., but he still managed to come away with a ninth round knockout and a successful first defense of his WBC heavyweight title. Check below for ringside photos from SHOWTIME’s Stephane Trapp. 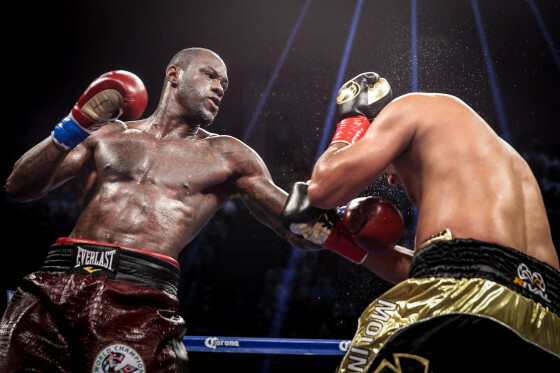 In front of a sold out crowd of 8,500 inside of the Bartow Arena in Birmingham, Ala., WBC heavyweight champion Deontay Wilder (34-0, 33 KO’s) scored a successful first defense of his title vs. tough Eric Molina (23-3, 17 KO’s). Wilder was a huge favorite heading into the fight but actually had some rocky moments when he was caught in the third round. Following that stanza, Wilder regrouped and scored a knockdown in the fourth, two in the fifth, before finishing the match off with a big overhand right that put his opponent out and on his back. Photos from Embassy Suites in Birmingham, Ala. as undefeated WBC heavyweight champion Deontay “The Bronze Bomber” (33-0, 32 KO’s) faces off with challenge Eric Moina (23-2, 17 KO’s) two days prior to their SHOWTIME-televised duel this Saturday night. Wilder captured the WBC belt this past January in Las Vegas by defeating Bermane Stiverne over 12 rounds and he will be looking for a first successful defense inside of the Bartow Arena in Birmingham this weekend. 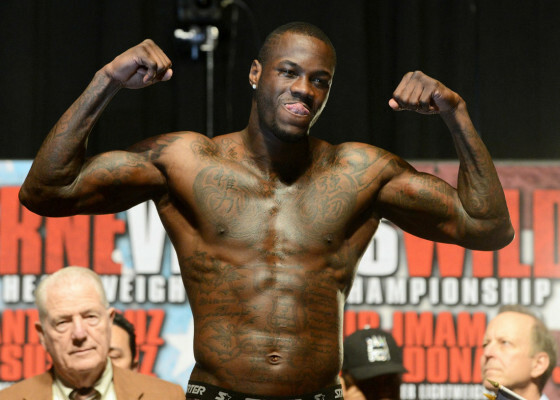 Deontay Wilder has certainly carved quite a name for himself. In the day and age when the heavyweight division seems dry, it is always refreshing to see someone with the dedication to come in swinging, especially when that results in a 97% knockout rate. A respectful 33 victories and no losses puts Wilder in a very beneficial position. While some argue that he has not yet proven himself due to lack of top-rated competition, others claim that while that may be so, there isn’t a huge roster of exciting talented heavyweights to pick from. 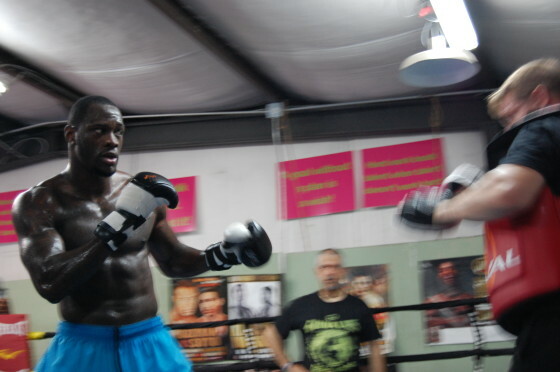 More photos as WBC heavyweight champion Deontay “The Bronze Bomber” Wilder (33-0, 32 KO’s) puts in work ahead of his June 13 showdown vs. contender Eric Molina. 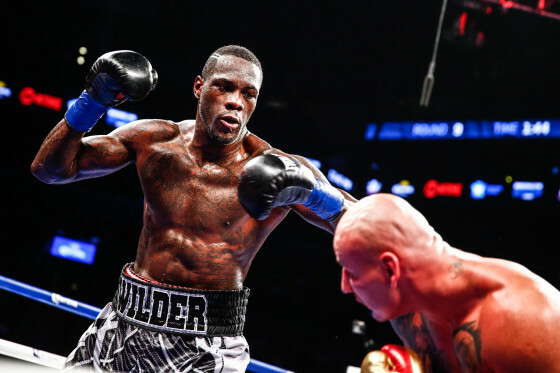 Wilder is one of the more engaging characters in the sport and he is coming off of a title-winning victory over Bermane Stiverne this past January that saw him fukfill much of the potential many had bestowed upon him following his bronze medal in 2008. 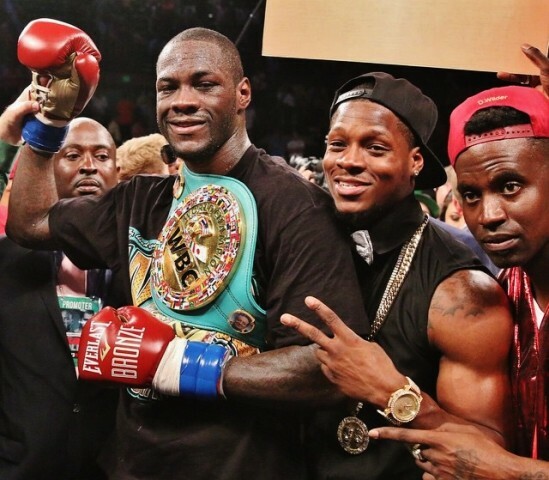 Alexander Povetkin vs. Deontay Wilder in late 2015? The heavyweight boxing division, aside from having a dominant champion in Wladimir Klitschko, is suffering and suffocating from lack of excitement. Despite being an absolute king to the heavyweight throne, Klitschko brings a dull and emotionless feel to his title defenses. Now and then there are fights worth getting excited about, but they come sparingly, and generally tend to not involve the actual title holder. According to Mauricio Sulaiman, a fight worth being excited for might be around the corner. 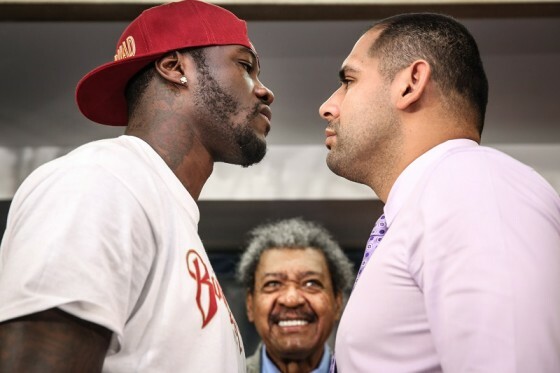 He mentioned that once Deontay Wilder gets past (33-0, 32 KO’s) gets past Eric Molina (23-2, 17 KO’s) on June 13th in Birmingham, Alabama, they will begin discussing a potential showdown between Wilder and Alxander Povetkin (29-1, 21 KO’s). Looks like newly-crowned WBC heavyweight champion Deontay “The Bronze Bomber” Wilder (33-0, 32 KO’s) will be stepping back into the ring on Saturday, June 13 inside of the Bartow Arena in Birmingham, Ala.
Showtime Championship Boxing will play host to Wilder’s defense vs. Eric “Drummer Boy” Molina (23-2, 17 KO’s), as the 29-year old is still in the spotlight heavily following his title-winning victory vs. Bermane Stiverne on Jan. 17. 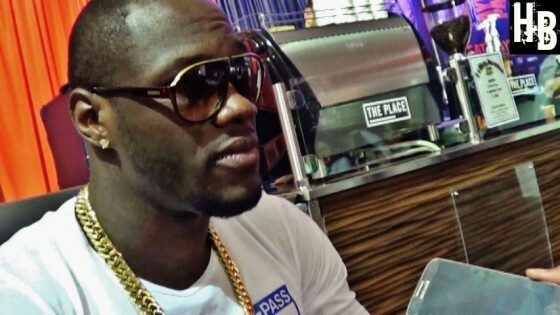 HustleBoss.com caught up with WBC heavyweight champion Deontay Wilder to discuss the Floyd Mayweather vs. Manny Pacquiao showdown set for tonight inside of the MGM Grand in Las Vegas, Nevada. Could an upset or controversy be in store? Wilder seems to hint at such a situation. According to a report from Jake Donovan of BoxingScene.com, the Jan. 17 Showtime Championship Boxing telecast headlined by Deontay Wilder’s victory over Bermane Stiverne was a big ratings hit. From the MGM Grand Garden Arena in Las Vegas, Wilder produced his most complete performance a professional by outhustling his veteran foe to capture the WBC heavyweight title over 12 rounds. Following his title-winning victory over Bermane Stiverne on Saturday night, newly-crowned WBC heavyweight champion Deontay Wilder spoke with pure joy about the fight itself and what his future holds. 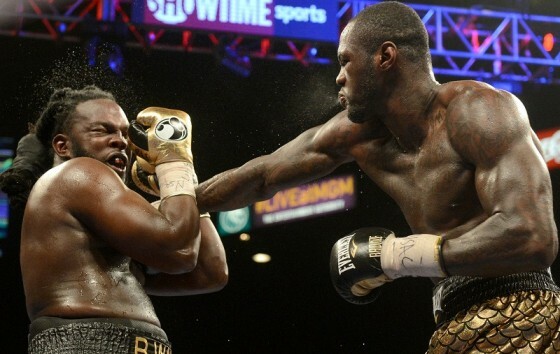 Wilder (33-0, 32 KO’s) was too strong, smart, and powerful for Stiverne, who drops to 24-2-1 with 21 knockouts.